It is our local and regional leaders together with our national and European representatives that have the power to make a change. Today, the European People’s Party has launched its Grassroots Engagement in view of the upcoming European Elections in May 2019. With the motto “Europe Starts in My Village / City / Region”, the EPP family seeks to bring Europe closer to citizens in two ways: by making citizens’ voice heard by European leaders, and by restoring confidence in and increasing ownership of the EU in its cities and regions. Ultimately, the engagement aims to ensure that citizens’ views and expectations are taken on board in the EPP programme for the 2019 elections, in the priorities of the EPP ‘Spitzenkandidat’ and in the next political mandate of the EU institutions. The launch event took place in Sofia, Bulgaria, upon the invitation of Prime Minister Boyko Borissov, EPP President Joseph Daul and President of the EPP Group at the European Committee of the Regions, Michael Schneider, organised in partnership with Political Party ‘Citizens for European Development of Bulgaria’ (GERB). 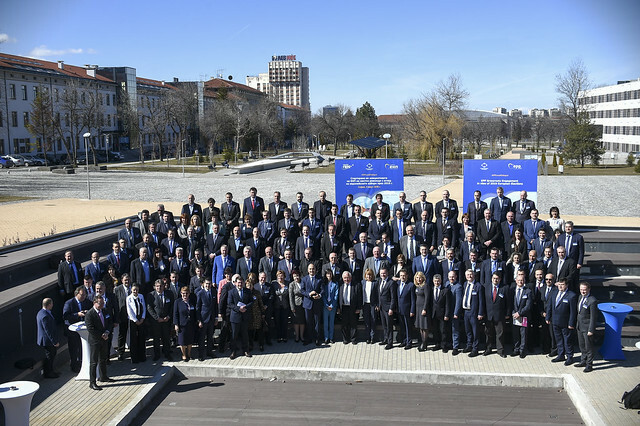 More than 400 local EPP mayors and regional politicians, members of the EPP Group of the European Parliament and members of the European Committee of the Regions were present at the launch. The event culminated in the adoption of a “Sofia Declaration“, affirming EPP regional and local leaders’ commitment towards the European project ahead of the 2019 EU elections. “Europe must be present in every settlement, regardless of its size. Citizens need not only to hear about Europe, they must see and feel it in their everyday lives, and local authorities have a key role to play here“, emphasised Prime Minister Boyko Borissov. As part of the EPP Grassroots Engagement, local and regional EPP politicians will host a series of EPP Local Dialogues across EU Member States in the months leading up to the 2019 EU elections. The first Local Dialogue takes place in Sofia right after the launch event with the theme “Europe Starts in Sofia – Youth’s perspectives and the future of Europe“. Over 200 people from Sofia will exchange views on Europe with Mayor of Sofia, Yordanka Fandakova, together with Bulgarian MEPs and Members of the EPP Group in the European Committee of the Regions. The aim of the Local Dialogues is to bring together EPP leaders from local, regional, national and European levels in an open debate with citizens, addressing local concerns and also opportunities provided by the EU. The outcomes of the Engagement will be shared with the EPP members of the European Parliament and the Committee of the Regions. Moreover, a high-level event with the party’s ‘Spitzenkandidat’ is planned in Austria in December 2018, and in spring 2019 a Summit of Regional and Local Leaders is to take place in Romania right before the European elections. Photos from today’s events are available here.